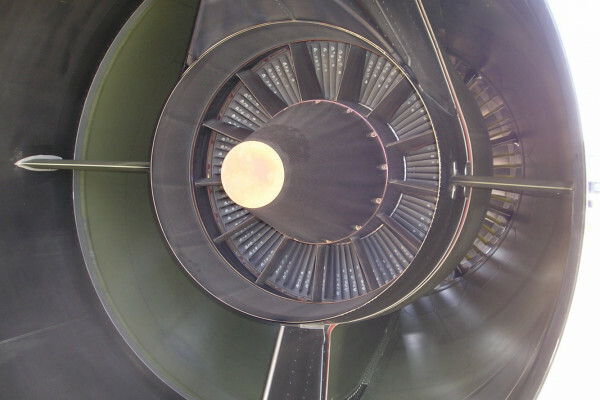 What's Rhenium Doing in a Jet Engine? By Ming Wang-Koh, Caspar Schwalbe. Rhenium is one of the rarest elements on Earth. Less than half a part per billion is present in the Earths’ upper crust. To put this into perspective, gold is nearly 3 times more abundant than rhenium, and the most common metal on Earth, aluminium, is 205 million times more available than rhenium. It comes as no surprise then that it was the last naturally-occurring element to be conclusively discovered in 1925. Like aluminium, rhenium cannot be readily found in its pure metallic state and is instead bound as an impurity in the mineral ore molybdenite, a by-product of copper mining. As a result, mining rhenium is neither cheap nor easy. However, progress in both mining technology and geological surveys have made it possible to locate veins with considerable rhenium content, which has decreased the overall extraction price for mining firms. Nevertheless, surging demand for rhenium, driven by its desirable qualities, means that prices are still rising. 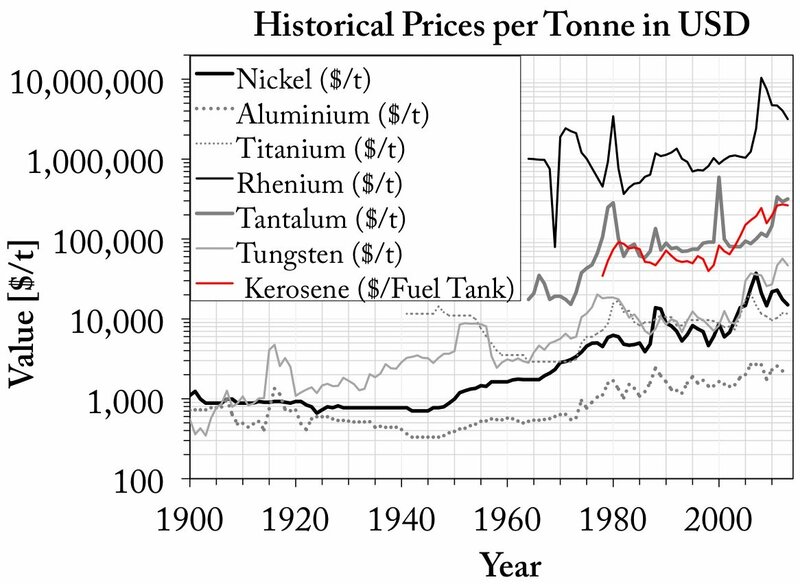 Figure 1: Prices of common alloying elements used in current turbine blades in Dollars per tonne over time. Note the red line is the price of Kerosene for a full A380 fuel tank. Why is Rhenium so desirable? In one of our earlier articles about alloys, we described in detail the special microstructure of superalloys, explaining why these materials are so exceptionally heat resistant and thus perfectly suited for jet engine turbine blades where the temperature of the passing gas stream routinely exceeds 1800°C, well beyond the melting temperature of the nickel-based superalloys used in engines. Alloys are mixtures of metal atoms that arrange themselves into specific crystal structures. To understand how these materials work, and the contribution of rhenium to their integrity at high temperature, it helps to have in your mind an image of an urban plan, with blocks of buildings interspersed by roads. In this analogy, the roads represent one crystal structure, while the buildings are another. You can think of the rhenium atoms as forming the steel frame embedded within these “buildings”. The benefit that rhenium brings to a crystal structure is down to its extreme weight: the relatively heavy particles are much more difficult to move around than lighter elements. This becomes important at high temperatures, when the mobility of atoms becomes a crucial factor - as the temperature increases, atoms vibrate more rapidly, and the faster atoms can move, the softer a material becomes. Think of the thermal energy you supply when heating a kettle, which essentially just speeds up the vibrations of water molecules. Eventually, at about one hundred degrees Celsius, the water molecules are vibrating sufficiently hard to shake off their attachments to other surrounding water molecules and break away to for steam or water vapour. In the jet engine, adding as little as 1-3% of rhenium atoms to the turbine blades increases the heat tolerance. The very slowly-moving rhenium helps to keep the microstructure in place, much like a steel frame of a building does, and this allows the turbine section to tolerate the extreme temperature demands placed upon it. Such attractive performance enhancements have resulted in 80% of today’s rhenium consumption worldwide being consumed for superalloy production. You could ask "why not just come up with a way to reduce the temperature instead?" But engineers like their jet engines just as they we like their tea - as hot as possible, and for a very good reason. This is because the jet fuel (called kerosene) that powers the jet engine burns progressivly more rapidly and efficiently the higher the temperature becomes. The reason is down to atomic mobility and chance: at higher temperatures, the molecules of kerosene fuel and oxygen in the gas stream are moving much more quickly. So the chances of a kerosene molecule crashing into a fast-moving oxygen molecule are much higher. And not only do these collisions happen more often, because everything is moving much faster, they occur at much greater energies, so the likelihood of the kerosene and the oxygen reacting together are also increased. This ensures that as much of the kerosene burns as possible, meaning that the maximum energy possible is extracted from the fuel. This minimises fuel consumption. And because jet fuel doesn’t come cheap, it directly reduces the cost of flying, making it more affordable. So this is why high temperatures are essential to efficient engine operation, and dropping the operating temperature would actually be detrimental to performance. Does rhenium help in reducing the carbon footprint of flying? So rhenium reduces the price of your flight ticket because it means that the aeroplane is using less fuel per travelled mile. But does this also mean that rhenium contributes to cutting the carbon footprint of flying? To answer this, we first need to estimate the energy needed to extract such a rare element like rhenium and then offset this energy against the fuel emissions saved. One Rolls-Royce Trent XWB jet turbine consists of 68 turbine blades. If we assume that each blade is enriched with 28 grams of rhenium, the total weight of rhenium is 0.95kg per engine. To produce this much rhenium we need to extract about 4.1 million kg of copper ore from the ground, which costs an estimated 140,000kg of carbon dioxide (CO2) in mining and refining the ore. Compared with a rhenium-free turbine, the other production costs are assumed to be roughly the same (this of course is an over-simplification as a substantially hotter turbine section inevitably means that the engine dynamics will change and thus different materials and processes will be chosen to accommodate this). Let's then assume the new turbine blades make the whole engine 0.5% more efficient, meaning we will burn 0.5% less fuel. An older 747-400 burns about 4 litres of kerosene per second, which we divide by 4 engines. Estimating the lifetime of a turbine blade at 10,000 hours, using rhenium would theoretically save us 460,000kg of CO2. This results in a net reduction of the carbon footprint of a jet turbine by 320,000kg CO2 over its lifetime. That's quite a saving. 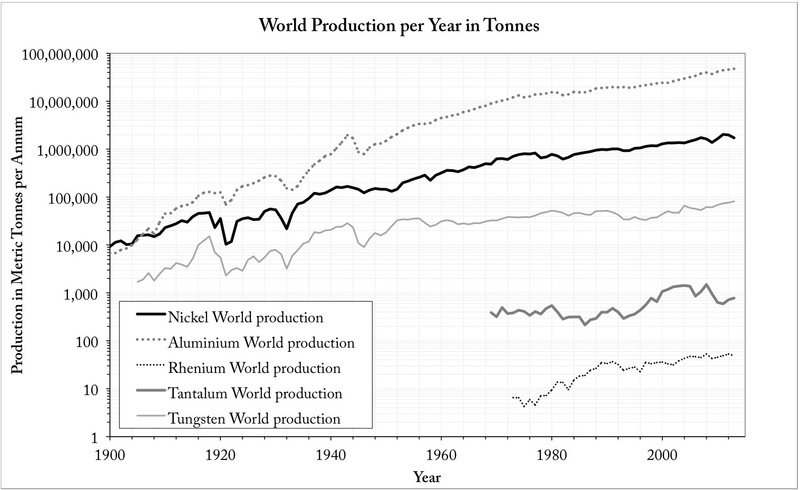 Figure 2: World production of key alloying elements used in jet turbine blades in tonnes per year over time. These rough estimates show, that adding rhenium to jet turbine blades comes with advantages for both the passenger and the environment. The catch here is that the cheaper the ticket prices, the more people will fly, which may offset any gains made in CO2 reduction. Airlines are addressing this issue by using biofuels, and passengers can also opt to offset the generated carbon emissions. Meanwhile, jet engine manufacturers are still striving to further reduce the carbon emissions by creating even more efficient engines. This article was co-authored with Caspar Schwalbe. Next How does a wing work?